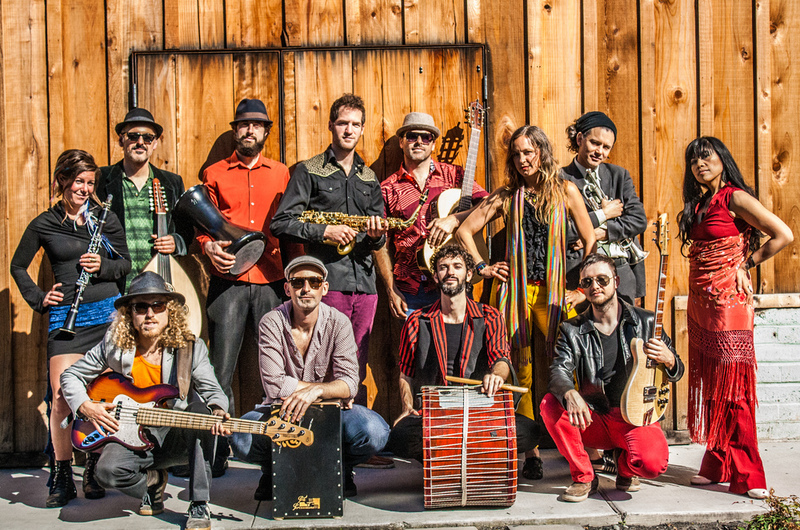 Istanbul Connection is a Bay Area musical collective formed in 2015 when 13 members of the hottest Balkan and Latin bands were gravitationally pulled to visit the city of Istanbul. With a mind towards cross-cultural connection and sonic expansion, these die-hards flew 7,000 miles to represent a piece of the the Bay Area music scene. In the process, they have cemented themselves as a supergroup of groove and since their epic beginnings, the band has performed sold-out-show after sold-out-show. They continue to draw their inspiration from the Turkish Maqam, Flamenco, Rumba, Balkan, and Cumbia they are are so deeply rooted in. Old school Balkan Latin folk music in a funky Bay Area context.